It’s been far too long since we’ve checked in with our mates Frodo and Sam, Merry and Pippin, Aragorn, Gandalf and the whole gang. I can’t wait to catch up with those guys and see what they’ve been doing since the One Ring was hoofed into the fires of Mordor. I hope they’re all good and enjoying some much-deserved time off. However, it seems that while we might easily be catching up with Gandalf – that dude is over 2,000 years old (at least!) – we may not be high-fiving the whole fellowship quite so soon, as fans reckon they’ve spotted a new clue revealing what the TV series will focus on. Or, at least, what part of the series will focus on. It’s previously been reported that we’ll be introduced to a young Aragorn, with the series lining up his background to the founding of Gondor. Fans of Tolkien’s epic universe will know that Aragorn’s bloodline is part Numenorean. Numenor was an island in the Sundering Seas, to the west of Middle-earth – the main location of most of Tolkien’s writing. Fans will also know, however, that Numenor was all but destroyed thousands of years before LOTR as we know it was set, and is mainly referred to as a ‘lost civilisation’. As Amazon Prime, the studio behind the new series, continue to tease us with cryptic tweets before airing the show, eagle-eyed followers have noticed the appearance of the island of Numenor on their interactive map. Despite its name suggesting it could be a sequel, the Second Age is actually a period of time thousands of years before the events of LOTR and well before The Hobbit, too. 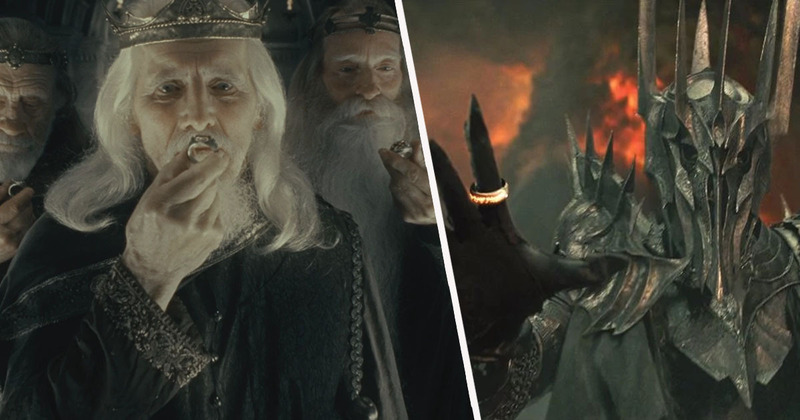 As with many things in Tolkien’s tales, Sauron was responsible for the downfall of Numenor, corrupting many of its inhabitants and bringing about the destruction of the island. The appearance of the island on the map has sparked a debate among fans, as the story of Aragorn’s ancestors on Numenor, the rise of Sauron, and the resulting chaos is a fascinating precursor to the later tales told on the silver screen. Also on the map are the names Minas Ithil and Minas Anor, perhaps better known as Minas Morgul and Minas Tirith, respectively. These areas were renamed when Minas Ithil was captured by the Nazgul, with Minas Anor subsequently being renamed to indicate its guarding of Gondor against the newly emerged forces of Mordor. So, along with the rise of Sauron, we may also be seeing how the Nazgul came about and also succumbed to his power. Unfortunately, we’ve got a bit of a wait in store before all this gets cleared up, as the series is said to be coming out in 2021. But at least we’ll have plenty more fan theories to keep us going until then.